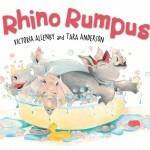 Rhino rumpus! Rhino riot! Will these three siblings ever get along? Two little rhinos getting washed. One little rhino feeling squashed. 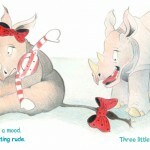 Three little rhinos WILL NOT BUDGE! 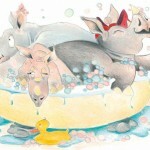 Three little rhinos are having trouble getting along as Mama tries to coax them through the evening routine. Will they fidget, fuss, and fight right up until bedtime? Or will their Mama’s love help them find some common ground? Victoria Allenby and Tara Anderson, the award-winning author-illustrator team behind Nat the Cat Can Sleep Like That, return with a lively story that will warm the heart of any frazzled parent. 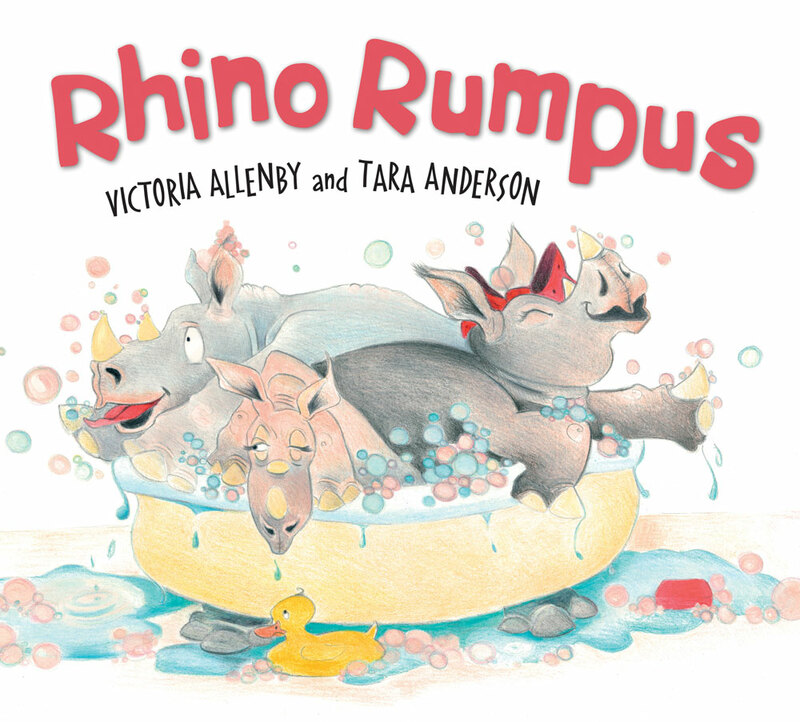 Children will find mischievous delight in the young rhinos’ misbehaviour, told in bouncing rhyme and energetic illustrations. 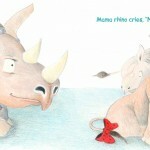 And ultimately they, like the rhino siblings, may be inspired to acknowledge and reward their parents’ patient love.